#OneWeek100People2019 Day Five: Play Time! On the fifth day, I just messed around. I was clearly not going to reach the 100 goal with what I’ve been doing the last few days – so – I gave myself a pass and just played today. Clearly, I’ve been out of synch this #OneWeek100People2019. 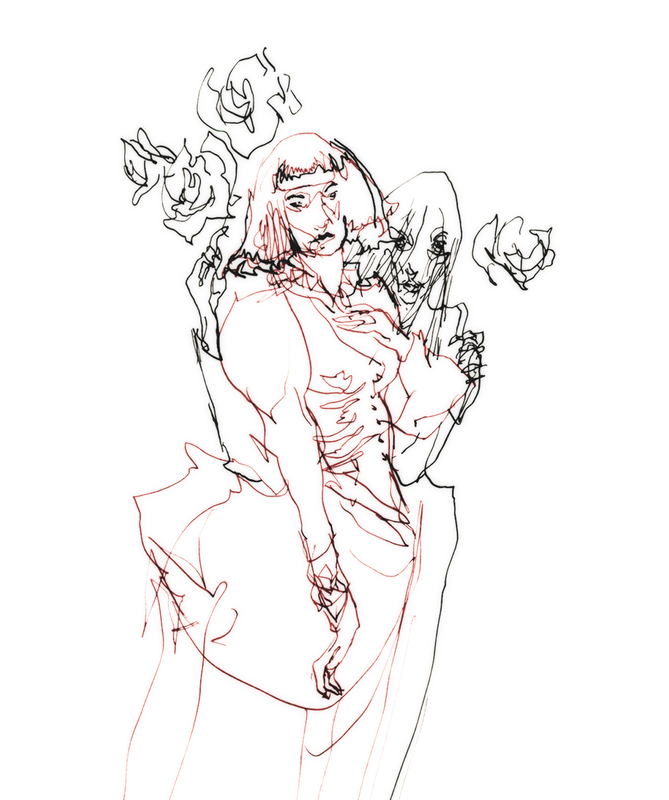 It’s very interesting how a project I set up to be fun and games – back when sketching was king – becomes so hard for me, now that I’m thinking about oil painting all the time. Very eye-opening. You don’t always know your own mind (apparently). I didn’t anticipate how hard it is for me to change topics. So what’s a fellow to do! And start thinking about how to redeem myself next time! Model Credits: @laceferatu, @rinrindoll, @voodoodolly, @itsvanillabear, @wistywish. I hope you had a great time with #OneWeek100People2019. Ok – got some life-stuff out of the way this morning, and we’re back in the studio. I decide to return to the selfies with open with some ABSORBED LINE. 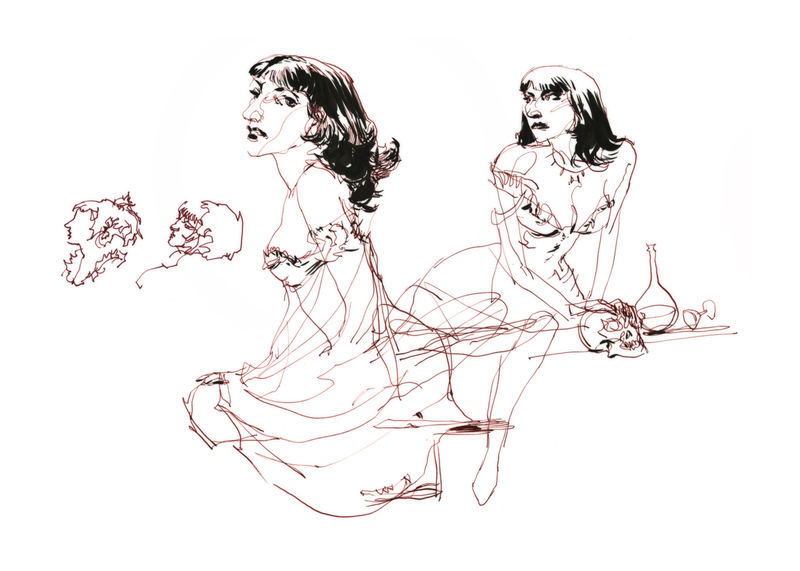 That is, sketching in line with a pointed round, then, immediately, absorbing the line into a blocked-in shadow shape. Work fast, and the lines you enclose will vanish completely into the larger wash. This third one is working for me. Probably my favorite so far. What do I like? Sketch looks like George Takei. The background bleed into the shoulders is just right. (Luck + adjusting the tilt). Underlying head shape is a simple abstract blob that captures the light with reserved white. I like the cooling of the side planes and the wet-in-wet implications of beard stubble. The rich red strokes thrown into the wet in wet have bled nicely. You need a jelly consistency to get nice strokes like this. I’m using cadmium red for the first time in years, (want to get rid of an old tube). 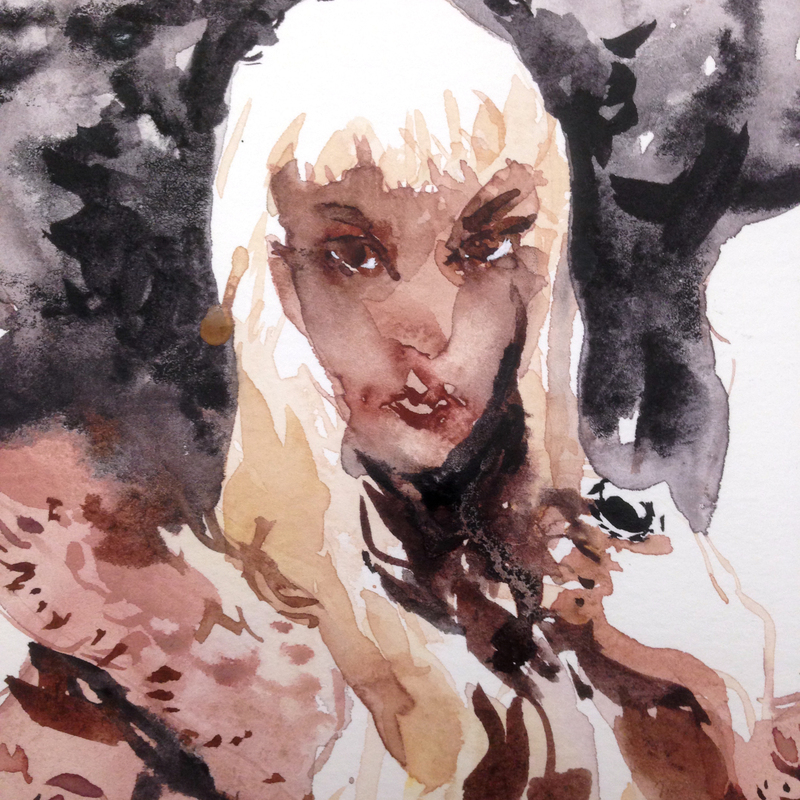 It’s a dense color, feels quite opaque for a watercolor. Here’s a better shot at an underlying head shape. I looks totally wrong without the eyebrows :) but you can’t put them (or the beard) in too soon or the darker hair will bleed too much. I also want this as wet as possible so the warm and cool stuff can merge nicely. It’s 100% instinct. I’m just dropping color according to what I see, looking to make the head feel dimensional just with planes of color. 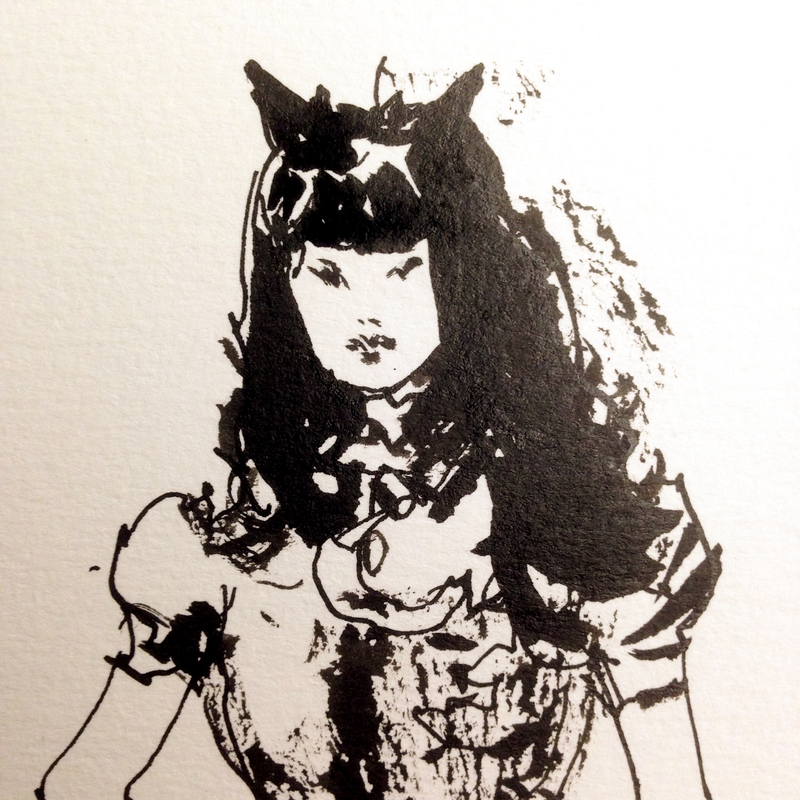 After I’ve hit the wet head-shape with the hair dryer, I can just draw in all the darks with honey-er mixes. These days I’m not drying it bone-dry before I start back in. That way the second pass has a very slight chance of blending in. This is the one I would use on my Tinder profile. One more time. Egg Head to Selfie. 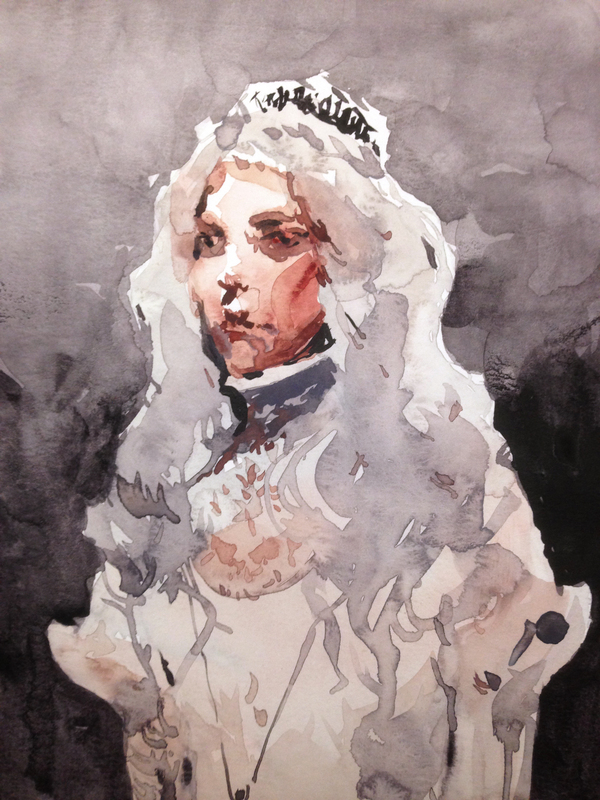 #5 for the day – and I’m sort of remembering how watercolor works. The egg-head actually looks dimensional hey? If you can get that volume into the base shape, then you know it’s going to work out in the final. So, that’s a good likeness. It’s a clean sketch, well executed. But – I’m still underwhelmed. It’s not very interesting. Just a boring snapshot of me. It’s like – the ones I find exciting and the ones I find accurate – it’s never going to be the same ones. Alas. #6: Got a little frustrated with the blandness, so did another Destruction Test. How much water can I throw on? How much black (neutral tint) can I slather on the background? But, a thick coat of paint can be lifted-out with a wet brush. And even that dripping head eventually dries. Eventually, I can pull out a few details with honey-mixes. This is an inconclusive test. It’s interesting. But it’s not really a portrait is it? It’s sort of faux psychological – the appearance of a moody image, but it’s fake – because any mood it projects is just an accident of the process. I do, however, enjoy the textures that show up from all the overworking. Ok! So apparently seven selfies a day is a comfortable number. After dinner, I went back for one more simple one. Just a classic water-sketch. Alright – time to get serious. 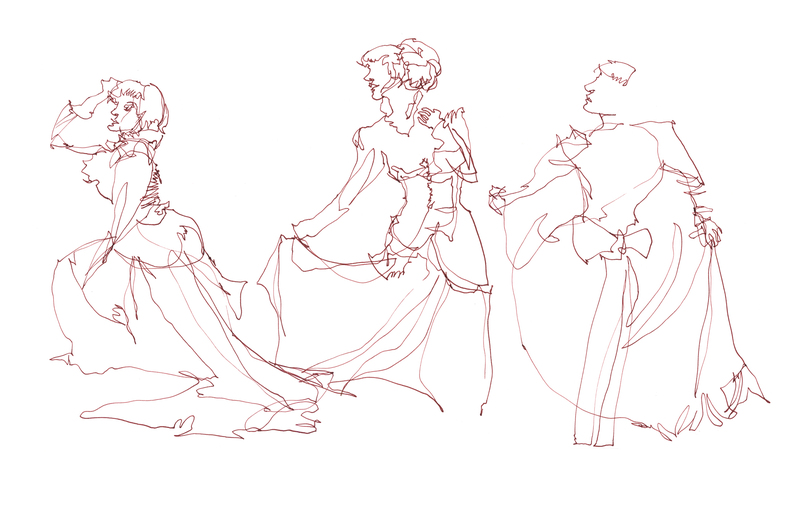 The recent life drawing has been fun and games – I could do that all week. 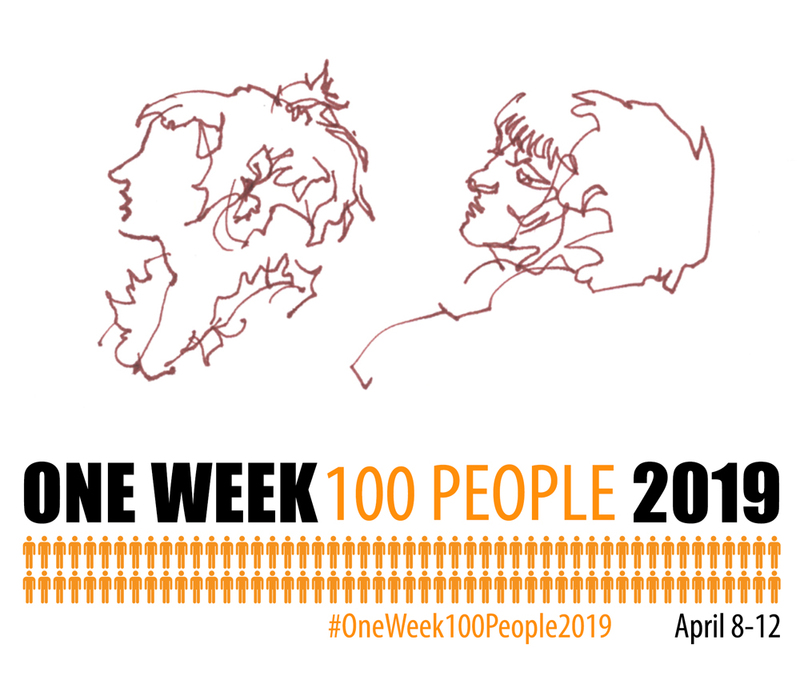 #OneWeek100People2019 is about everyone drawing together to share in the motivation. The group excitement. But also – the shared guilt. Nothing like making a big social media announcement to give you a short-term jolt of motivation! But I think we also have to have long term personal goals. If you’re a beginner it’s easy. Your goal is probably “I want to get better”. But after a while, you have to think about – “Get better at what?”. Why am I getting better? Behind the scenes here, for the last year or so, I’ve been painting landscapes in the studio. This has become my most serious project to date. Serious enough I quit my day job! (Ok, well, I didn’t really have a day job, but I quit taking freelance illustration). I feel like my opaque painting is taking off like mad. I’m loving it, and I’m thinking some very ambitious thoughts about big paintings and big art shows. But you know what – right now I’m worried. 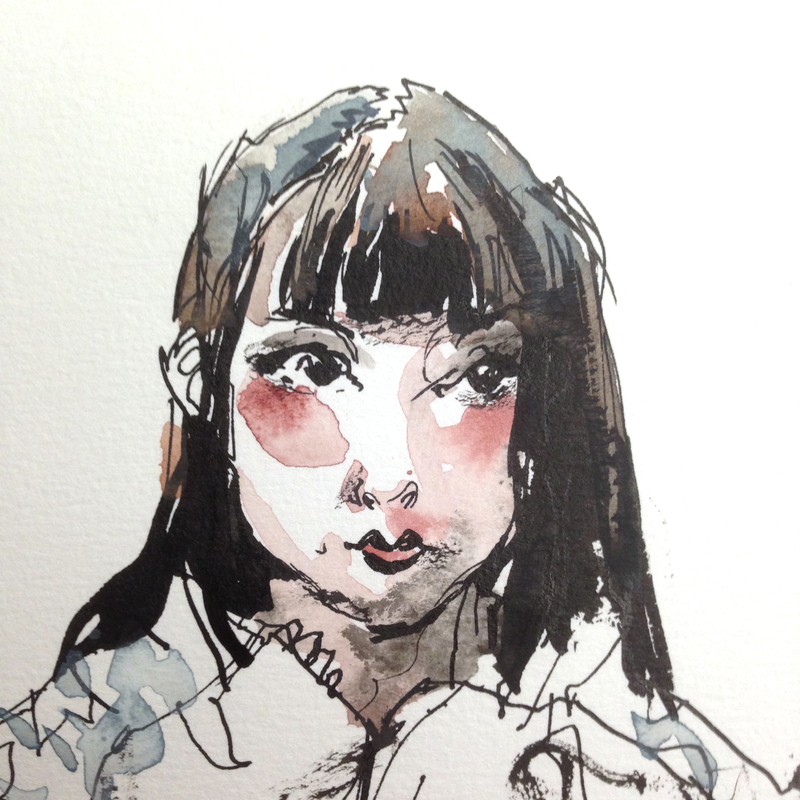 Just like I was concerned I’d forgotten how to draw people, it’s been a LONG time since my last serious watercolor. 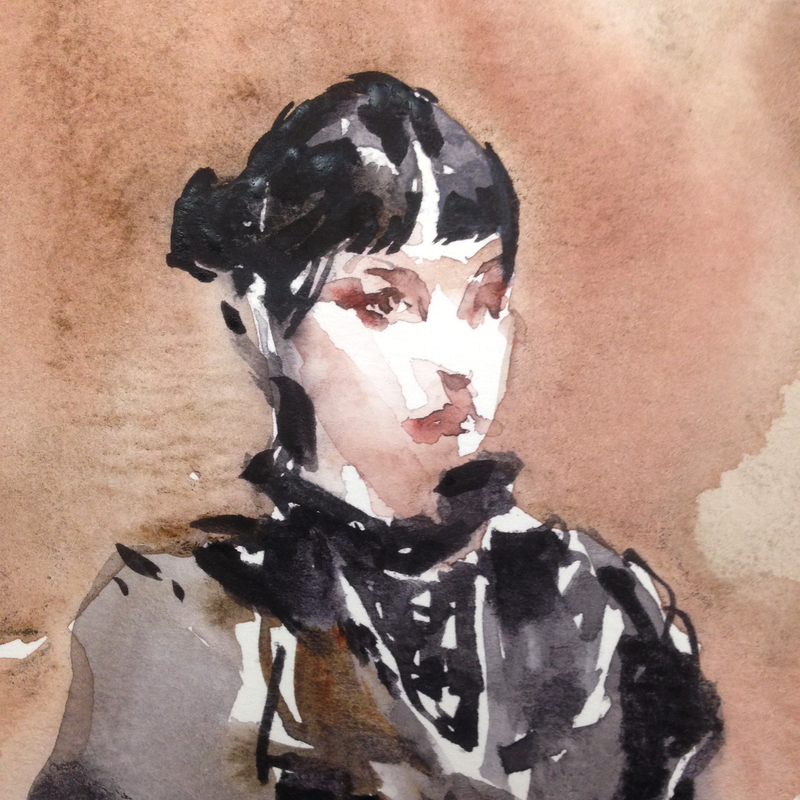 Thus, I’ve decided – for #OneWeek100People2019 – I really need to check in with water painting. Because #30x30DirectWatercolor is coming up right on my heels, and that’s a project that is going to me much more in line with this year’s goals. 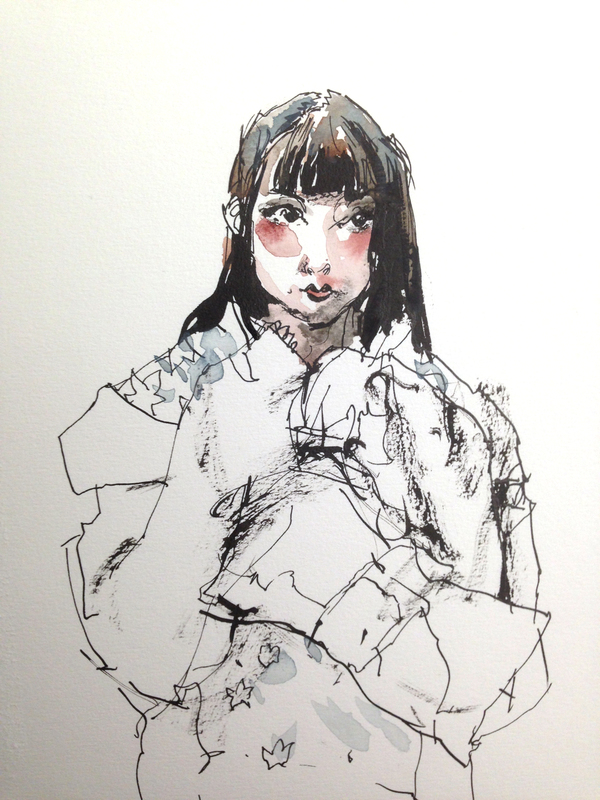 To be honest – It’s not really responsible for me to be doing more life drawing on the street. I feel like, I’ve go that in hand. In previous years I’ve tried to lead by example and do all 100 on the first day. Last year I was one caffeinated drink short of making it. Gave up an hour too soon. Fun as it would be to do it again – it seems like it isn’t time well spent for me. So – I’m going to enjoy all the figure drawing on location the rest of the world is doing – but at home, it’s time for some self-centered reflection on the meaning of life. So – I say to myself – this year I’ll do 100 Selfies. 100 self-portraits have to teach me something. Some artists make a rule for self-portrait series – no two portraits can be handled the same way – you must change technique or media. You’d HAVE to learn something just by brute force. So. I’m not sure I can do that, AND train my watercolors at the same time. But hey, let’s see what we see. A: It’s insanely boring – repeatedly painting my own face. I only made it to #3 and I’m gritting my teeth. B: I’ve drastically slowed down since I was at my peak painting plein-air! The studio work, the relaxed pace of oil painting – it’s made me soft! I really don’t like this painting. 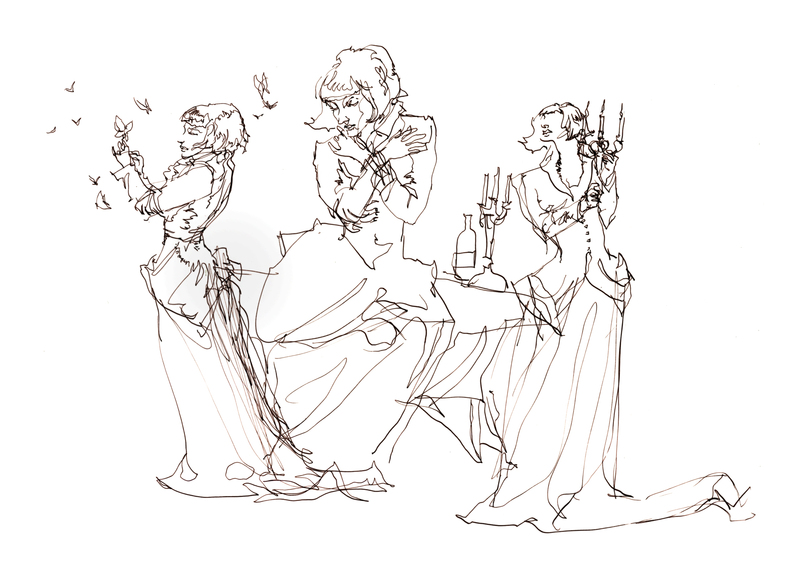 I’m rushing to paint as fast as possible, aiming for that 100 goal – and not concentrating. I’m ending up with a kind of cartoon likeness. It’s illustrative. 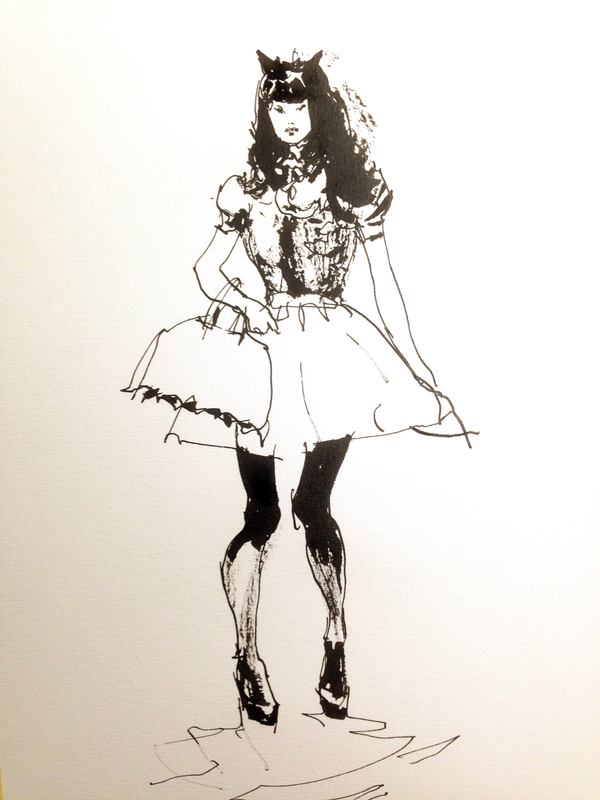 It’s high contrast – in the manner of an ink sketch. 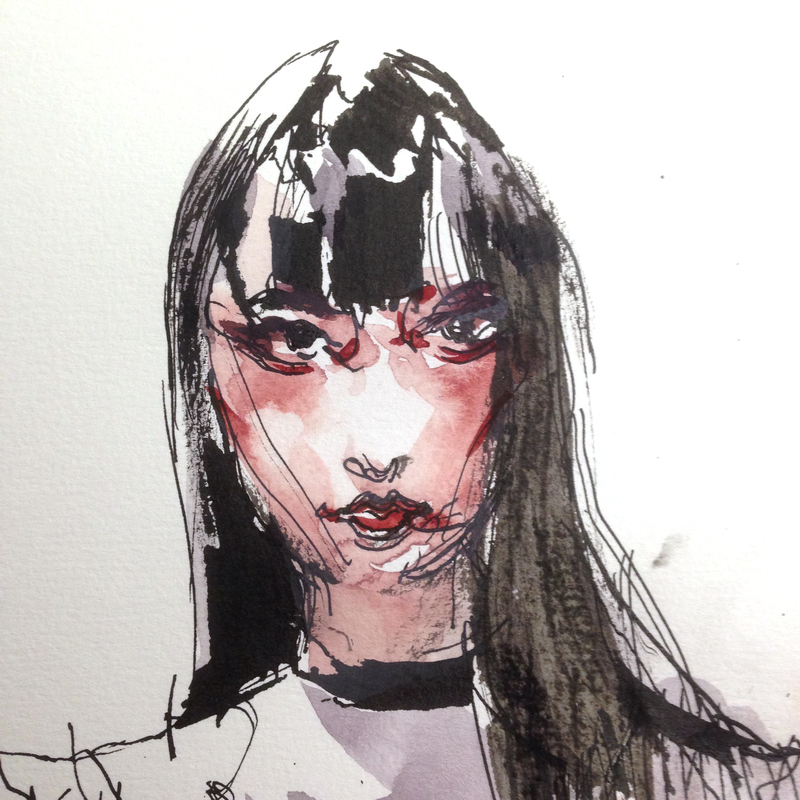 Which I love in ink, but I find obnoxious in paint. 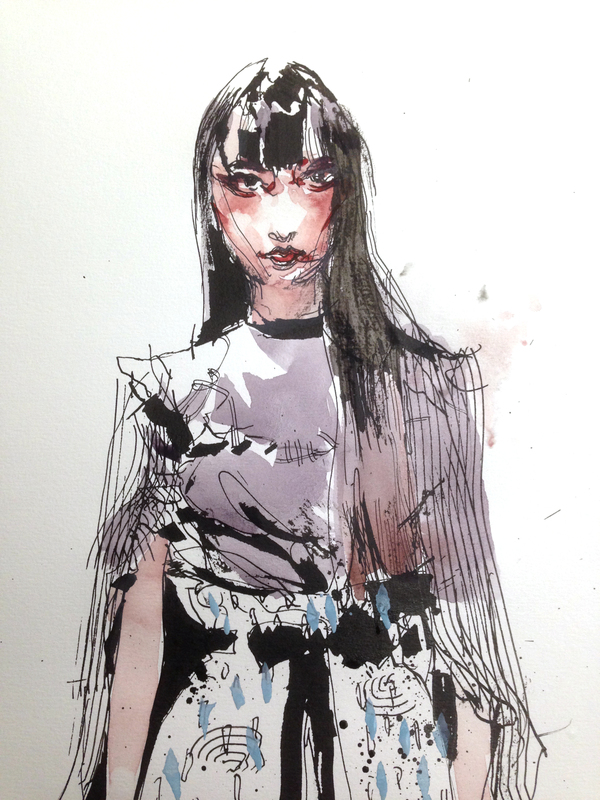 When you don’t have middle value – (because ink is pure black/white) – then fine – you live with it. When you DO have values, I regret the instinct to go to a choppy hard-edged three value scale. It’s a waste of potential. Watercolor is supposed to be subtle. This time I get mad and act out with the Cadmium Red. But that’s a cheap trick. Ok – what about DESTRUCTION TESTING! Keep going well past the point where I should stop, and see what happens. This is the same red painting, just overworked to death. I’m going to count it as a new work though. I washed over with naples yellow, pushed back with a solid 100% neutral tint, and scrubbed out with dirty water, dragged with a 2″ house painting flat, then rebuilt just a bit with richer honey-paint. Doesn’t look much like me. This is Christian Slater-Me. But it’s nothing like the way I was painting this morning. I’m learning by brute force. Mix bigger puddles, and blast some underlying shapes. 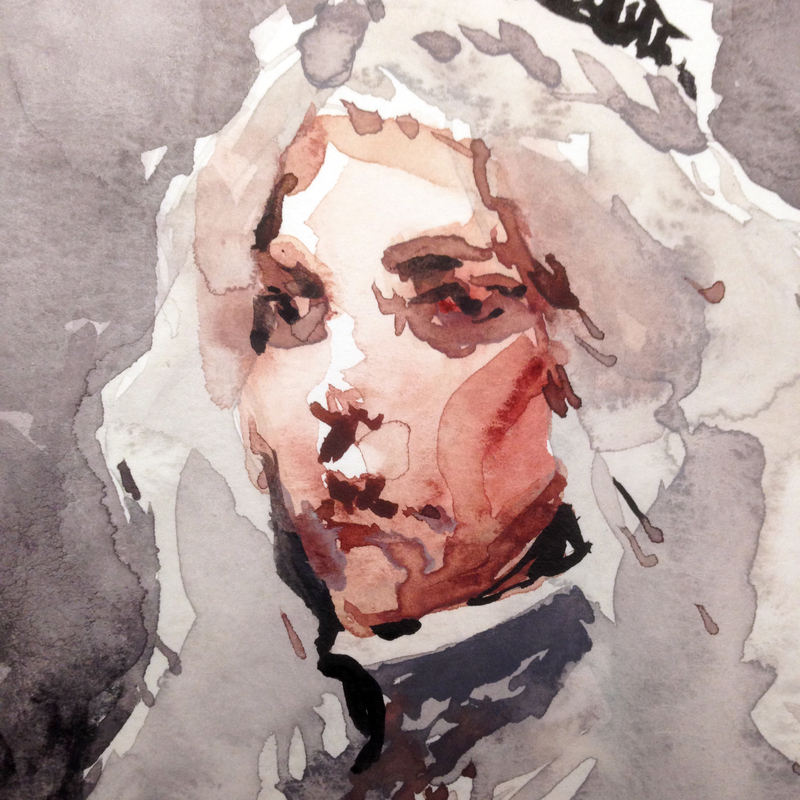 Maybe I can make this one really loose – super wet in wet, yet ALSO improve the likeness. Nope! Nice try. Doesn’t really look like me. This is George-Lucas me. If it had been amazing – I’d have let it live. But naw – this is still nothing – still too cartoony. Getting closer to my 51-year-old, 195lb face. But still, ain’t worth keeping. Poured paint from some 2oz mixing cups. Tilted it around, poured some more. Raked with the 2″ bristle brush. Dropped in globs of Chinese white. Alright! It’s not a sketch anymore – it’s a painting. Not – in my opinion, a great one – but still. 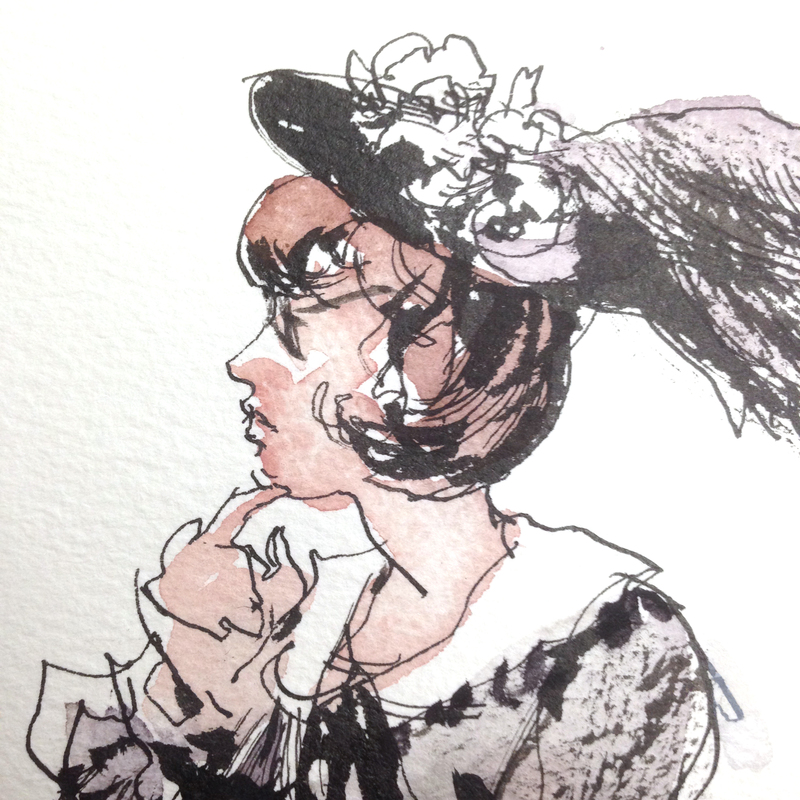 I’m trying to really soak myself in watercolor here. Off to bed, tomorrow’s another day in #OneWeek100People2019! MTH: You’re a parent, (I don’t know how parents have time for anything!) and a freelancer, and I know you’ve had to travel quite a bit recently for life/family-stuff. so – my question is – Do you have any special strategy for fitting 100 people into your schedule? SS: The closest I have to a strategy is to try and fit them into my schedule in whatever way I can. I’m traveling by myself with my kids most of the week (a last-minute plan), including a full day of flying and lots of driving, so the sketches will just be what I can do in what time I have. I think that’s going to be challenging enough, so I haven’t a special focus in mind. I might also supplement my day’s sketching with some studies from photographs if I have the energy to squeeze them in at the end of the day. We’ll see! Can you tell I’m not a planner? MTH: I asked Liz this, but I want to get your take: What do you think about the ‘social’ issues of drawing people in public? Do you twinge when you get caught – or is it even an issue for you? SS: I can’t remember any disastrous ones, for the most part they’re really good. 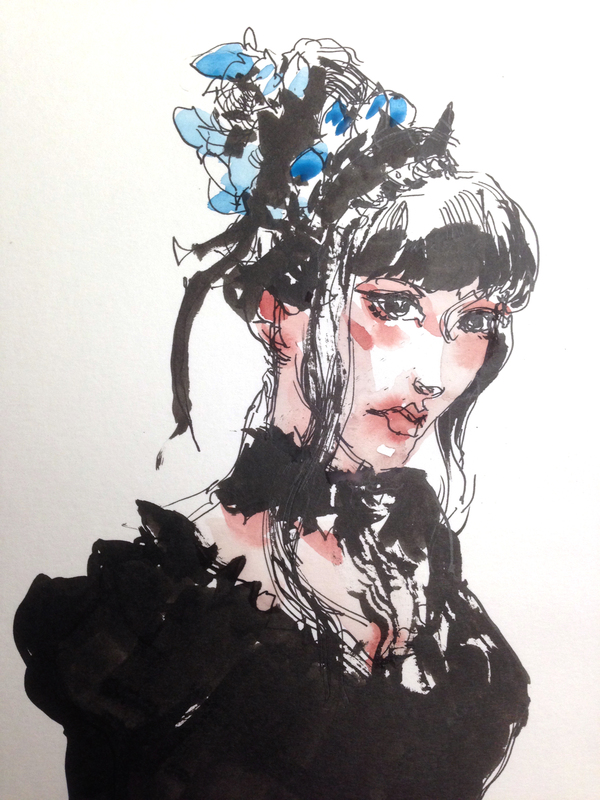 Drawing in public is a great conversation starter: I like talking to people but rarely approach someone I don’t know. 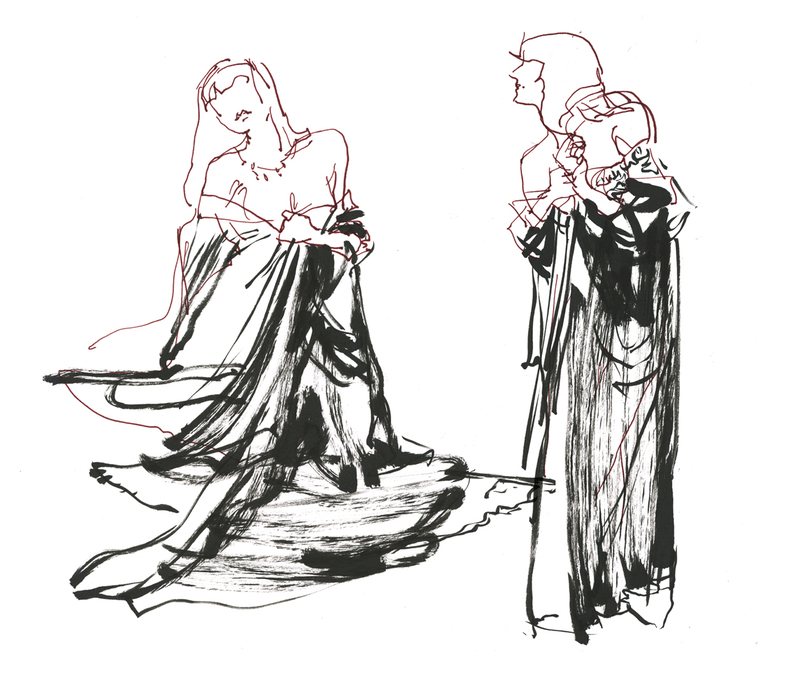 But if I’m drawing, people come talk to me, and people are intrinsically interesting. MTH: I know we’ve all given our tips and tricks on our blogs, so I won’t ask that – but – how about this – If you could draw anything – person life not being a factor – what are some realistic projects you’d actually be doing? Is there a subject/project you’d like to share that possibly other people could try in their #OneWeek100People2019? SS: One little project I might incorporate into this week, (especially given that I might not get to 100 people sketches from life) is drawing the sport of baseball, from photos and then from video. Why? My son plays little league baseball, and I understand absolutely nothing about how the body moves and weight shifts in the pitching and batting actions. So drawing baseball has been hard for me! I’m hoping that drawing from photos and videos might give me some feel and understanding the helps draw live action: we’ll see! MTH: Thanks, Suhita! We’re looking forward to sketches from your trip! !